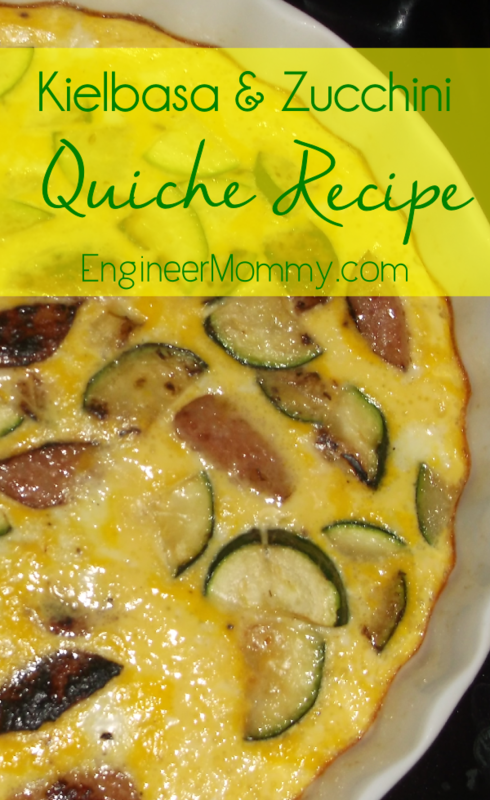 This easy, satisfying quiche recipe is a perfect breakfast recipe. It tastes so delicious, and you won’t believe how simple it is to whip together these ingredients to make a yummy quiche in 20 minutes flat. 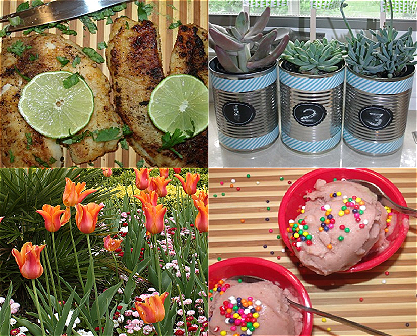 I made it this morning and my girls absolutely devoured this recipe. They loved it so much, I will definitely be adding this to my regular rotation of breakfast recipes. 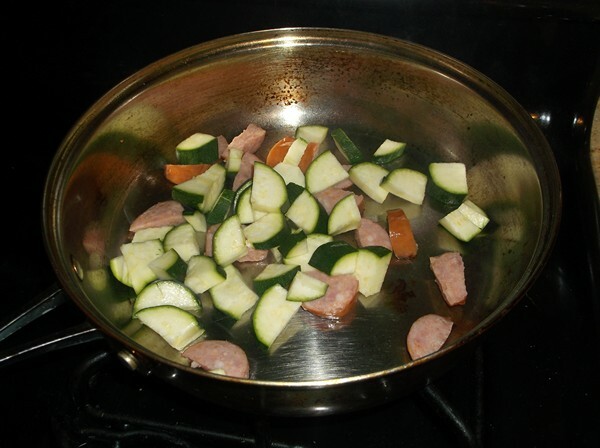 Saute the zucchini and kielbasa in a frying pan for 5 minutes. Combine all ingredients in a mixing bowl. 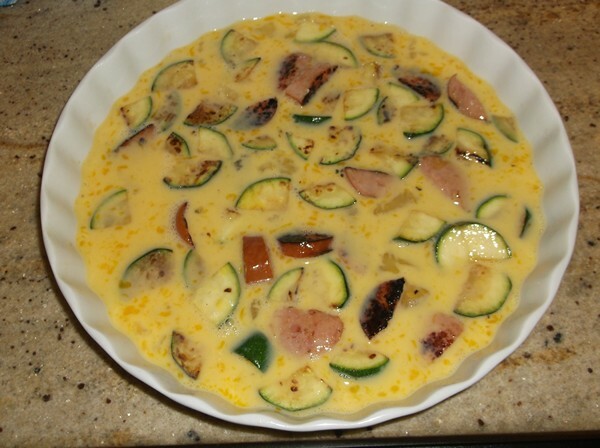 Pour into a quiche baking pan. Bake for 20 minutes. Let cool slightly, and serve slices warm.